When I think of marijuana tourism I am often reminded of Amsterdam in the Netherlands, which is probably what most people think of. However, in the neighboring country of Denmark, there is a vastly unknown counter culture village where marijuana and hash are sold openly on the street. It is located in Copenhagen and is known to westerners as Christiania, it can easily be accessed by getting off the Metro at the Christianshavns station. For more information on Christiania, check out our Bevar Christiania post. It is always nice to visit somewhere new in the summer when there is much more to do outside, however we highly recommend going around Chritsmas and New Years when the city is lit up and decorated in holiday mode. It was bitter cold when we were there, but quite the experience. If you have the time check out the island of Samso as well, it is the EU’s poster child sustainable community. Now, you can tell that I’m high since I’m rambling. I feel asleep at 8pm woke up at 2am and have to leave for work at 7am. Which is completely messing with my head since I ussually go to sleep at 2am to wake up at 7am, so I got stoned. Haha. But, to make a point here. There are also places where marijuana grows in the wild. The most famous of these places is probably the remote kingdoms of Nepal and Bhutan in the Himalayan Mountains renowned for their grade AAA wild marijuana. And, many former Soviet countries in Eastern Europe also have wild marijuana. Many of these countries used to produce hemp agriculturally as did the United States, and the marijuana “escaped” from agricultural production and grows wild. It is from these former Soviet countries that Cannabis ruderalis is believed to have originated. Marijuana as I just mentioned also grows wild in several parts of the Midwest where hemp production was once common, however the quality is not very high and this weed goes by the term ditch weed as it often grows in the ditches along the sides of roads. Another random factoid, Russia is the largest exporter of hemp while the United States is the largest importer. We used to grow, now we don’t, it just doesn’t make sense. It’s the same thing with the avocados, look it up. We don’t import them from Russia, but we used to grow them and now we don’t. Wow, that was a stretch. Sorry guys, my mind is like half in dream mode right now. But. to the point I was trying to make. Should the United States set up a city where marijuana can be bought, sold, and consumed openly. It could be a new city, so we wouldn’t infringe on anyone else. And, it could be like Harvestfest if anyone has ever been to one of those in Maine. You can bring in whatever you want, you can do whatever you want while you’re there, but once you leave you’re on your own. The police very well might search your car and person on the way out, they might not. Should we make a city like this here to help generate some revenue for our ailing economy? Also, we’re tkaing name suggestions if you have them. Should America create a “cannabis city”? This entry was posted by Mythbuster on September 30, 2011 at 4:25 am, and is filed under Pot Polls. Follow any responses to this post through RSS 2.0.You can leave a response or trackback from your own site. More specific directions to any marijuana forests you know of would be greatly appreciated. This really is a very interesting write-up to learn. Many thanks for posting this and please come up with more articles similar to this. 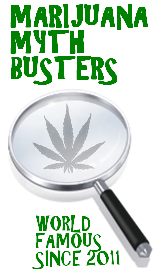 Will there be any exhibits/booths set up npmootirg the safer recreational uses of cannabis? I’m a medical user, but my main thing is I’d like to be able to consume cannabis recreationally legally. For me, pot is much safer than alcohol, and I’d like the right to use it legally instead of alcohol (which I don’t use). Today’s insane laws encourage people to use alcohol instead of pot, even though cannabis is the far more safer and benign product. One day, I’d like to be able to make the responsible, safer, less harmful choice to be able to legally use cannabis recreationally not just medically. Hopefully, legalization proponent SAFER will be represented at the convention, as Mason Tvert really has the right idea. Either way, I’ll see you at the LA HempCon on both Saturday and Sunday. And sorry for this long post. Thanks. Cool, man. Umm. Make sure to vote in the poll for this. Thanks, everyone. Pretty good blog. I will post a link on my tumblr page.